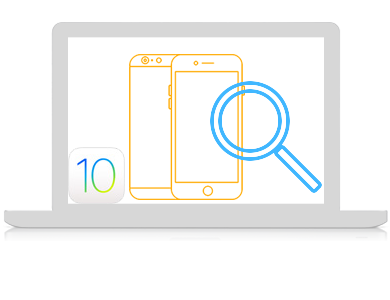 ﻿ Mac iPhone Data Recovery, Rescue data from iOS, iPhone, iPad on Mac. Try 321Soft, experience the magic of iOS Data Rescue. Fully compatible with iOS 10 and the latest iPhone 7S/7/Plus and iPad Air/iPad Mini. Two recovery modes: recover data directly from IOS devices without Itunes backup & recover from iTunes backup for any IOS device. Recover up to 12 sorts of lost files like message, iMessage, photos, videos, contacts, call history and more. 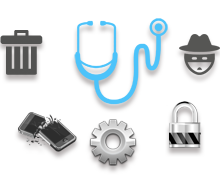 Powerful iOS data recovery solution to retrieve data due to iOS upgrade, factory settings restore jailbreak or physical damage. Give you the fastest and easiest way to get all your precious data back from iPhone, iPad and iPod touch. The trial version let you try it to preview your files before buy. And it allows you to selectively recover what you want - some thing you can't do with iTunes. Tutorial & 24 hrs Email support. The payment process is SSL-secured. 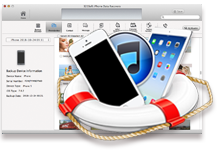 There are many different iPhone Rescue software out there. 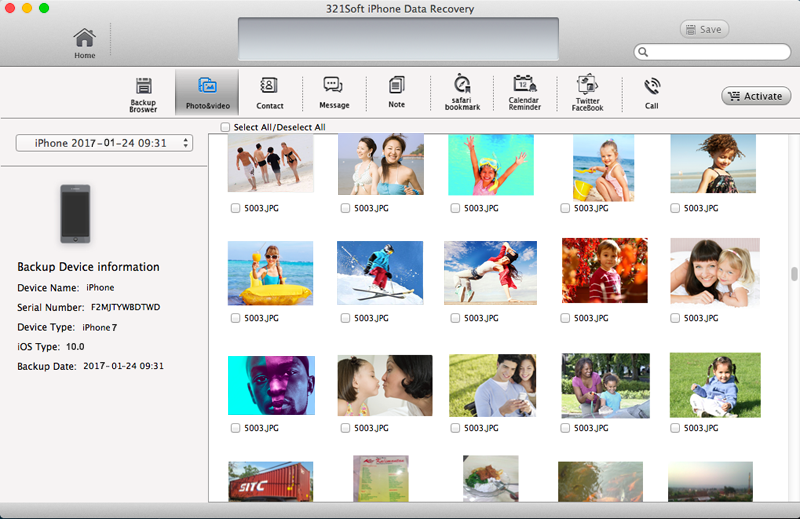 321Soft's iPhone Recovery for Mac specializes in recovering photos, videos, SMS messages, and other files that have been deleted on iPhone and iPad, even without these iOS devices. We've tested many iOS recovery software, but this is the most outstanding one. - by: CNET staff on June. 28th, 2015. Overall, it does a great job at recovering lost photo and files from your iOS devices or iTunes backup. No other software makes iOS recovery so effortless. Just launch the software, and all you'll have to do is press "Next". Restore from iOS devices: directly recover data from iOS devices without previous iTunes backup. Lost data in your device can be recovered in this mode until they are overwritten with new content. Restore from iTunes backup:Your IOS device is stolen or lost by accident! Or lose your data due to jailbreak, device damage, device crashed, restoring to factory settings! When you meet these situations, this mode which can deep scan your backup data in iTunes will be your best choice. The device is water damaged, broken or has suffered other physical damage. Wizard interface to guide you recover iPhone data step by step. Allow you to preview lost files before recovery. Allow you to select which specific files you want to recover. Performs non-destructive and read-only scan and file recovery. Compatible with Mac OS X 10.10 and Mac OS X 10.11 El Capitan. Lost iOS data? Don't worry ! Try Mac iPhone Data Recovery today. see how easy it is to recover iPhone data on Mac. How to Recover Notes from iPad on Mac?